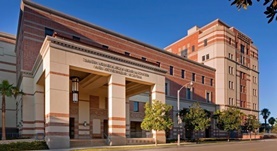 Dr. Stellios Karnezis graduated the medical school from the Baylor College of Medicine. He did his internship at the Arrowhead Regional Medical Center and completed his residency program at the University of California Irvine. 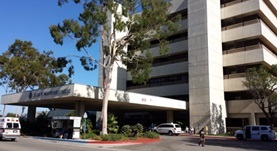 A fellowship followed at the UCLA Medical Center soon after that. He is specialized in radiology and board certified in diagnostic radiology. 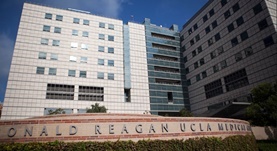 Dr. Karnezis has been in practice for more than 6 years and is affiliated with the Ronald Reagan UCLA Medical Center. During his career, he has also contributed to 2 publications of medical interest. Dr. Stellios Karnezis has contributed to 2 publications. Eagle syndrome presenting with external carotid artery pseudoaneurysm. Dao, A., Karnezis, S., Lane, J. S., Fujitani, R. M., Saremi, F.; Emerg Radiol. 2011 Jun. Amyloid-β related angiitis: a report of two cases with unusual presentations. Ng, D. W.,Magaki, S.,Terashima, K. H.,Keener, A. M.,Salamon, N.,Karnezis, S.,Macyszyn, L.,Vinters, H. V.; Hum. Pathol.. 2017 Feb 06.